See a real Fur Trade Encampment in the pines on the lakefront. Learn the history of Fur Trading in Wisconsin. Enjoy Great Food from Local Restaurants, Taffy Apples, and free Chilli from the Woman's Club. Sample the Homemade Wines, vote for your favorite and get a special Scarecrow Fest glass. 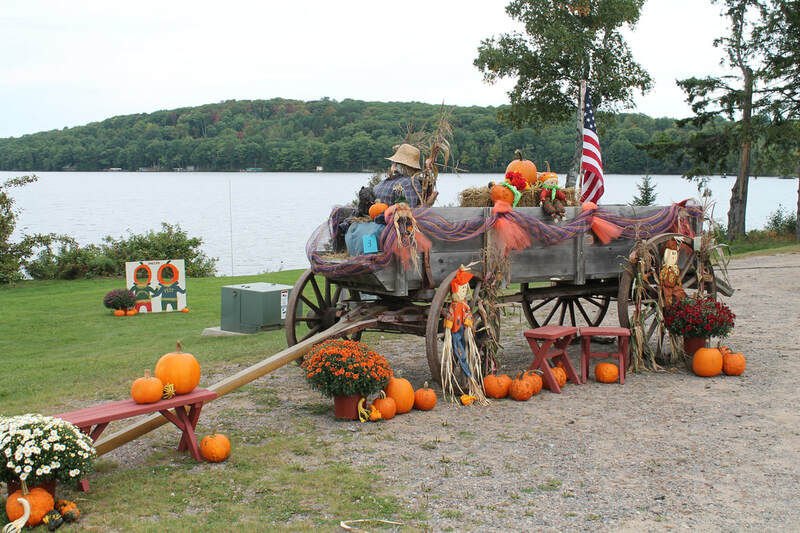 Take an old fashion hayride overlooking North Twin Lake. Pumpkin Chuckin’! Try your luck slinging a pumpkin at the target on the water – after all, where else would you get to man a giant sling shot? Walk through the Scarecrows, or bring your own to enter for a cash prize. Don't miss the Craft Vendors and the Quilt Show & Pumpkin Chuckin"
Free shuttle service to/from parking areas. Drive to see the fall colors in Phelps, Wisconsin and the Nicolet National Forest.